If you’re a local business trying to connect with other businesses through networking, then LinkedIn may be the social networking site for you. If you didn’t already know, LinkedIn is actually the largest professional network currently on the web. What’s even better is, unlike Facebook, Twitter, and many other social networking sites, its targeted audience are people like you; business professionals who are looking to connect and generate leads. More than 130 million users are on LinkedIn. Here’s a fact to consider. There are over 130 million users who are business professionals using LinkedIn today, and many local business owners are part of this network. So if you’re not a part of it, then you should really ask yourself why, because you’re missing out on valuable leads and exposure to your competitors. 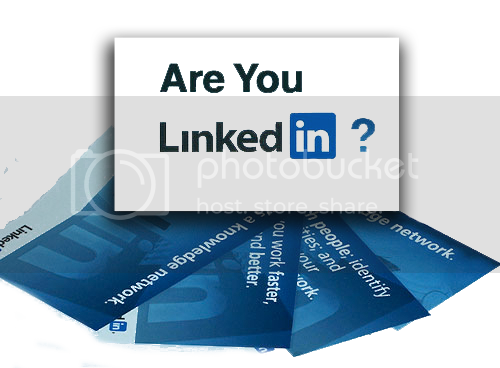 Fully complete your LinkedIn profile. With LinkedIn, as with other social media networks, it’s important to have a presence that awes others. Without a powerful presence for your local business, there are many opportunities you may be missing. The more powerful your presence, the more likely other businesses will want to connect with you and your local business. The most important thing you need to do when creating your LinkedIn profile is to complete it fully and accurately. The more of it you complete for your local business, the better presence you will have, and the easier it will be for others to locate you. With the profile, you need to make yourself stand out so other businesses and companies will find your local business intriguing. Let others know what it is about your local business that sets you apart, so be sure to fully complete the business information and summary section. This is where you need to include anything that will make anyone visiting your site want to return and want to be a part of your LinkedIn network. Also, include images, keywords, and links to increase your search engine rankings within LinkedIn, and to help others understand what it is you do. You also want to update your URL to include a keyword that reflects your business and/or industry. By doing so, you’re increasing your chances of getting found within external search engines, like Google, Bing and Yahoo. If you’re fluent in other languages, and know business owners from around the world, then you’re also able to create your profile in another language if you so choose, which is a nice perk. Individuals who fully complete their profiles have a 40% greater chance of success on LinkedIn. LinkedIn has done some research and their statistics show that businesses that fully complete their LinkedIn profile have a higher change of success with networking through LinkedIn (40% higher). What’s even better is they have easy step-by-step instructions on what you need to do to complete your profile in the LinkedIn help section. Even more, if you have to take a break or leave for whatever reason away from creating your profile, there’s an “improve your profile” button that allows you to pick up where you left off, so you don’t need to do it all at once (though I recommend taking the time to get it completed as soon as possible and in one shot). LinkedIn allows you to connect with any business anywhere. With a completed profile, you’re able to show what your local business is all about, and will allow you to be seen as the competent, successful local business owner you are. Chris Marentis has over thirty years in the field of local business marketing. Along with his company, Surefire Social, Chris generates leads and brands local businesses across the web by leveraging social media marketing, website development, and search engine optimization.